Welcoming patients from Kendall Park, Franklin Park, Somerset, South Brunswick, North Brunswick & New Brunswick,Monmouth Junction, Dayton, Princeton & Kingston NJ. If you are an existing patient, we would like to thank you for trusting us with your dental care. If you are a new patient we would like to welcome you to our Kendall Park, NJ dental office. 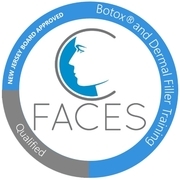 Call us @ 732-422-7777 today to schedule your appointment! Going green isn’t just good for the planet, it’s good for our patients. As a member of the Eco-Dentistry Association, Dr. Satwah is dedicated to keeping you healthy through environmentally sustainable practices. In big and small ways, we’ve invested in the technology to make your trip to the dentist good for you and the planet. Part of our commitment to serving our Kendall Park area patients includes providing information that helps them to make more informed decisions about their oral health needs and the dental treatments they are receiving. We also encourage you to visit our patient education videos page which contains a library of videos related to the dental procedures and treatment options we offer. We genuinely hope this site is helpful to you in learning more about our Kendall Park, NJ family & cosmetic dental practice, dental conditions and treatments, dental recommendations, payments & insurance , driving directions and more. Please browse through our website and be sure to call our dental office @ 732-422-7777, if you have any questions or would like to schedule an appointment. You may also use our online appointment request form to schedule your appointment. Kendall Park Dentist, Dr. Sanjeev Satwah is dedicated to family, cosmetic, and holisitic dentistry and offers dental services that include: Dental Implants, ClearChoice Clear Braces, Veneers, Teeth Whitening, Crowns, Fillings and Root Canal Therapy. Welcoming patients from Kendall Park, Franklin Park, Somerset, South Brunswick, North Brunswick & New Brunswick, NJ.